Put on your best hot pink mini dress, turn your amp up to a rocking but pleasant volume and get ready for the Starlight Music Battle Of The Bands! 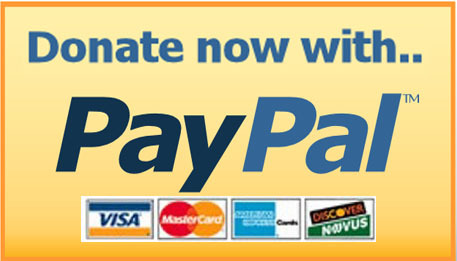 All bands whether evil and greedy or are able to enter to win sole control over mega (musician less) record label Starlight Music! Oh…also, a movie contract! 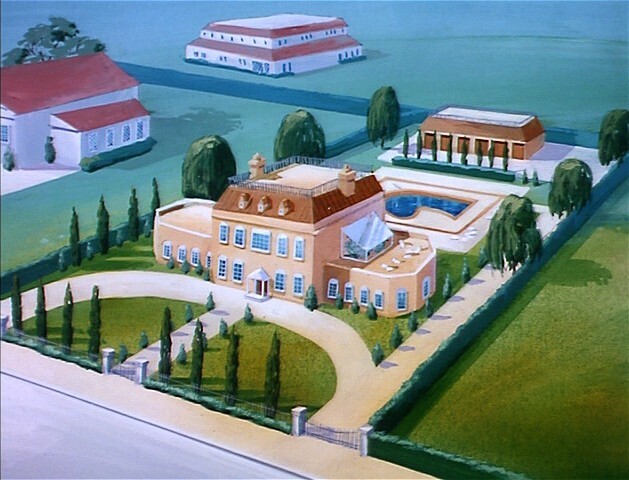 And…uh…a mansion! Yeah, that‘s it, a mansion! Starlight Mansion… all this and more could be yours! Who will turn up the jams? Who will win it all? 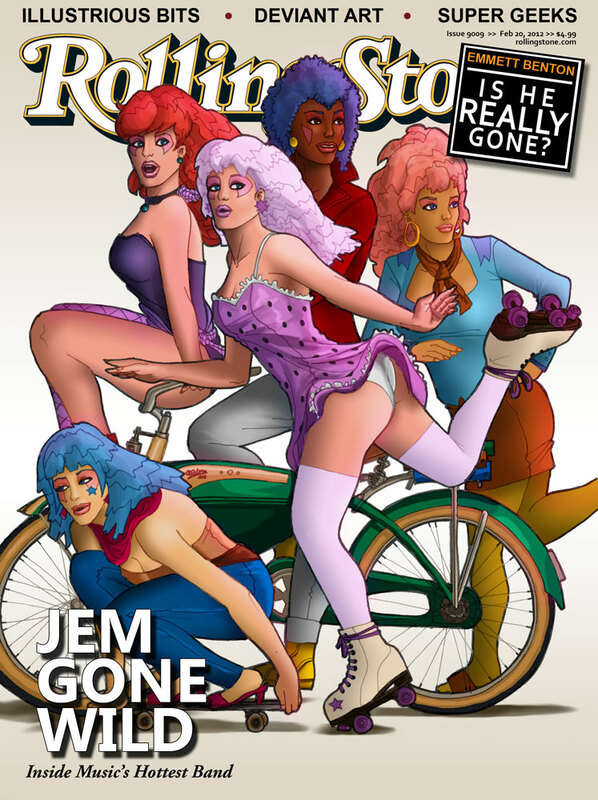 Who will be truly outrageous? And who will read these exciting contest rules and regulations? 1) All competing bands must be accompanied and represented by (one) tall dark and handsome man. The moral character of the band’s man must be directly parallel to that of the band members. 2) Demo music must be submitted on solid gold and/or day-glo vinyl record. Demo records must posses the ability to enlarge allowing the band to fly through the air, riding them as if they were a flying carpet. 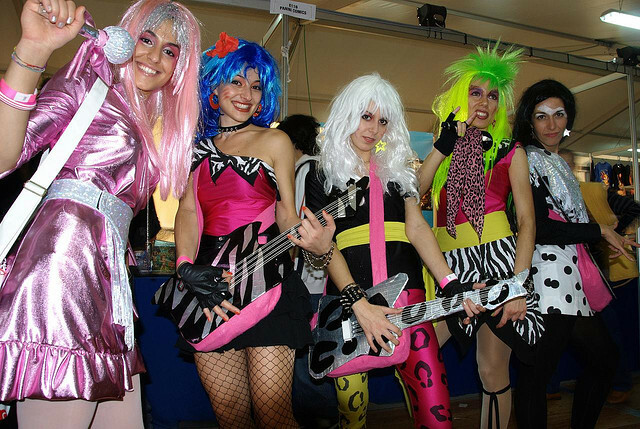 3) There is no limit to the number of bands who wish to apply for the competition as long as the competing band are either The Misfits or Jem and the Holograms. 4) Any and all distasteful behavior will have no bearing on a bands ability to participate in the Starlight Music Battle Of The Bands. There is virtually nothing you can do to become disqualified. 5) All songs created during acts of sabotage are the sole property of the offending band. The victims of the assault or sabotage relinquish all claims to royalties resulting from record sales. 6) All competing bands will be given legions of screaming and fickle fans who are hopelessly and immediately devoted to their band despite the band never having previously been in the public eye and in some cases are fictional people, created solely for the purpose of competing in the battle of the bands. 7) Judging is done on an “applause-o-meter scale ranging from “way cool” to “truly outrageous” the band that fails to perform at “truly outrageous” levels will be immediately disqualified and never spoken of again. 8) Twilight Music will not be held responsible for lost orphans, ruined socialite parties, classic cars driven over cliffs or destroyed rental/prize mansions. 9) Bands performing in the Starlight Records Battle Of The Bands will be asked to bi-locate and exist in a spontaneous music video while also performing their winning song live. _________________________________ (Band Member’s Parent or Guardian if participant is 17 years of age or under), hereby acknowledge that while using a private eye to encroach upon the privacy of your opponent, destroying thousands of dollars worth of merchandise on a yacht, kidnapping and threatening to murder a teenage girl and planting a bomb in an orphanage will result in no penalty, failure to arrive at the specific time your band is scheduled to perform will result in an IMMEDIATE DISQUALIFICATION. _________________________________ agrees to hold Starlight Music, in no way responsible for yourself or any members of your band represented as psychotic villains or wimpy victims in the spontaneous, fantasy rich music videos of the competing band. represents that he or she is performing using appearance and talent possessed naturally by the performer and must not be the result of non-specific, ridiculously advanced technology of a holographic computer system that has no controls other than Phantom of the Opera style organ keyboard which has no logical use in the operation of a computer. Furthermore, the computer can not posses the ability to read minds by responding to a vague commands such as “showtime” or “shows over” with disguises or lack thereof, not decided upon in advance but which are perfectly suited for the random situations the band may find themselves in. The computer may also not be an apparent sentient life force, totally removed from any sort of programming or control. Any use of said living computer to create an alternate identity that one might use to play head games with your boyfriend, shamelessly throwing yourself at him while in the roll of the artificially created rock idol and then becoming jealous when he actually responds is also strictly prohibited. 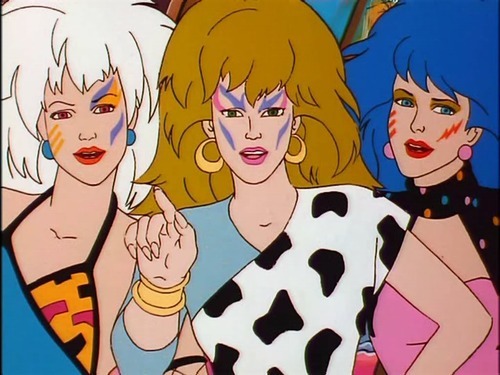 Inventory of holographic projection jewelry, wigs and totally rad, torn looking 80’s costumes. October 15– Fake, Staged promotional stunt Battle Of The Bands Featuring the Limp Lizards. November 20, 7-11pm- Starlight Music Battle Of The Bands. 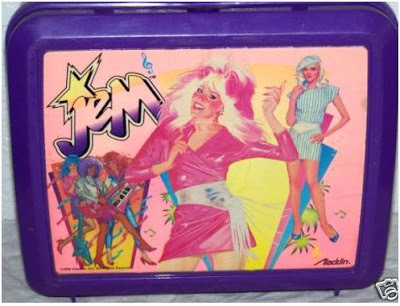 JEM AND THE HOLOGRAMS IN THE FINALS OF SLITHER MADNESS?!? As for this piece, nice job on this! Thank you very much Leviathan!